The International Planned Parenthood Federation (IPPF) believes that working in partnership with young people should not be restricted to peer education, but should take place at all levels of project development and implementation. For many years young people have been participating in IPPF’s programmes as peer counsellors and educators; however, the commitment to get young people involved in needs assessments and research is relatively new. Now that youth participation is enshrined in IPPF’s Adolescent/Youth Strategic Framework we recognize that there is a need for a toolkit to support Member Associations in their efforts to involve young people in this crucial part of programme development. The purpose of this study was to involve young people as researchers and not only as a study object. Young people were assigned to design research questions, research methods and also carried out the research themselves. This new method of gathering data on young people’s sexual decision making gave a quite different set of data, compared with earlier, adult-led studies. The process evaluations show that young people felt more confident when talking to researchers they could identify with. The moreconfident research setting created better, more open and honest discussions, and out of this process new and deeper perspectives were gathered. 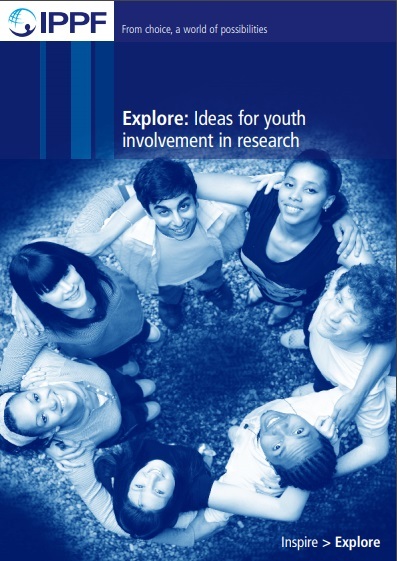 This toolkit provides you with a guide on how to organize a similar research project, involving young people as both designers of the research and as researchers. Outcomes of such a project will include empowerment of the young people involved, new research findings from the young people participatingin the research and new experiences of youth involvement programming for the initiating organization.